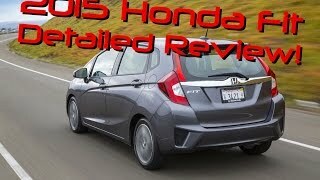 Honda has unveiled the all-new 2015 Honda Fit, now more powerful, refined and fuel-efficient, at the 2014 North American International Auto Show. The 2015 Fit debuts with a sleek, modern and sporty exterior style. It gets a aggressive front fascia with a new grille and headlight design. 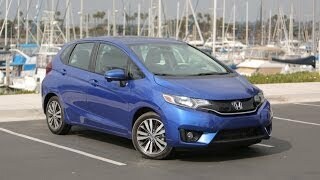 Larger 16-inch tires outfitted with a new 5-spoke wheel design give the Fit a planted and sporty stance. The new Fit is slightly shorter (-1.6 in.) and wider (+0.3 in.) with a longer wheelbase (+1.2 in.). 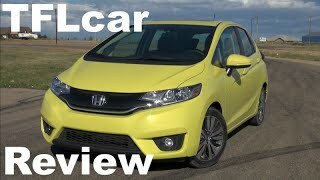 The 2015 Honda Fit will deliver above-class interior refinement and features while offering value at every trim level. Some features include Bluetooth connectivity, a multi-angle rearview camera and Expanded View Driver's Mirror. It will also have Honda's exclusive LaneWatch display and a 7-inch Display Audio touchscreen interface with HondaLink smartphone connectivity. 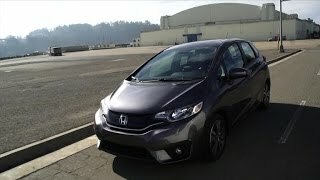 The 2015 Honda Fit will be powered by an all-new direct-injected1.5-liter DOHC i-VTEC engine generating 128 horsepower at 6500 rpm and 114 lb.-ft. of torque at 4600 rpm. It will be paired to two new transmissions, a slick shifting 6-speed manual or a sporty and fuel-efficient Continuously Variable Transmission (CVT).